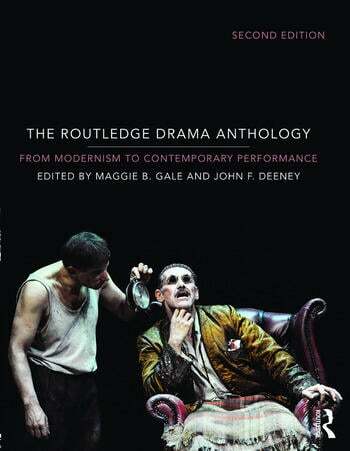 The Routledge Drama Anthology is an original compilation of works from key movements in the history of the modern theatre, from the late nineteenth to the early twenty-first century. This expanded new edition now features twenty new plays and essays. Each of the book’s five sections comprises a selection of plays and performance texts that define the period, reproduced in full and accompanied by key theoretical writings from performers, playwrights and critics that inform and contextualize their reading. Substantial introductions from experts in the field also provide these sections with an overview of the works and their significance. This textbook provides an unprecedented collection of comprehensive resource materials that will facilitate in-depth critical analysis. It enables a dialogue between playwrights and performance practitioners on one hand, and on the other, critics and theorists such as Roland Barthes, Jean Baudrillard, Walter Benjamin, André Breton, Martin Esslin, Michael Kirby, Hans Thies Lehmann, Jacques Rancière and Theodor Adorno. Maggie B. Gale is Chair of Drama at the University of Manchester (UK). She is the co-editor of The Cambridge Companion to the Actress; author of West End Women: Women on the London Stage 1918-1962, and J.B.Priestley from the series Routledge Modern and Contemporary Dramatists.